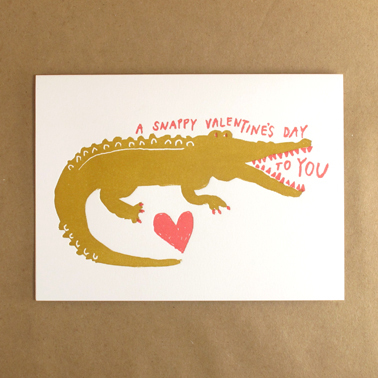 Valentine’s Day is right around the corner and I’m giddy with excitement curating a selection of cards for jour d’amour. This little guy was so popular during the holidays that I just bought a bunch for the shop in the Valentine’s version! Also, some gifting options this year. Salted caramels and beautiful jewelry just to name a few. We are making shopping very easy for your loved one’s this year.